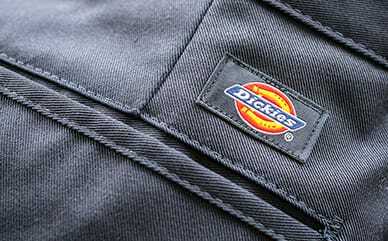 Dickies’ Kid’s Long Sleeve Branded Graphic Tee is a great weekend look when the weather calls for long sleeves. Keeping the kids comfortable with a nice jersey fabric, the machine washable material makes for easy care. Rib knit cuffs keep the cold air out, while the sleeve graphic calls out one of their favorite brands.